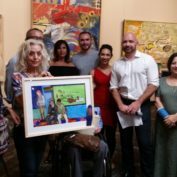 The Phoenix Sister Cities Disability Awareness Committee held its 12th Annual International Competition for Artists with Disabilities Awards Reception on November 3, 2017. 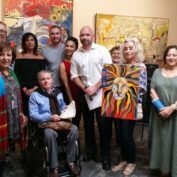 The International Competition for Artists with Disabilities is a competition open to all artists 19 years or older who reside in either Arizona or one of Phoenix’s Sisters cities. 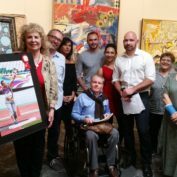 It is an amazing opportunity for the artists and also a great disability awareness event. 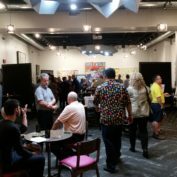 Many members of the community came together and were amazed by the talent of the local artists as well as international artists who participated. Over 100 pieces of artwork were submitted for the contest this year. The submissions were sent by a diverse array of artists from age, gender, to nationalities. 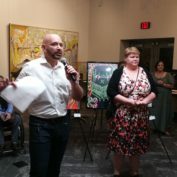 Many submissions were sent in by local artists in Phoenix, along with art from sister cities which included Chengdu, China; Ramat-Gan, Israel; Calgary, Canada; Himeji, Japan and Taipei; Taiwan. The awards reception was held at the Found:re Hotel. The venue was magnificent with ample space to display the art entries. This event exhibit showcased the phenomenal artwork and provided the perfect venue to present awards, and vote on the People’s Choice Award. 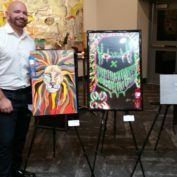 Artwork was sold through a drawing that helps raise funds to continue the annual competition. In the Competition category, Mark Svirov from Ramat Gan, Israel won 1st place. In 2nd place was Watanabe Mitsuru from Himeji, Japan. Lorraine Balegatas from Calgary, Canada took home 3rd place. Once again Transdev sponsored the ICAD Competition category and Phoenix Sister Cities Board member and Transdev executive Diana Sandifer attended the awards on behalf of Transdev. 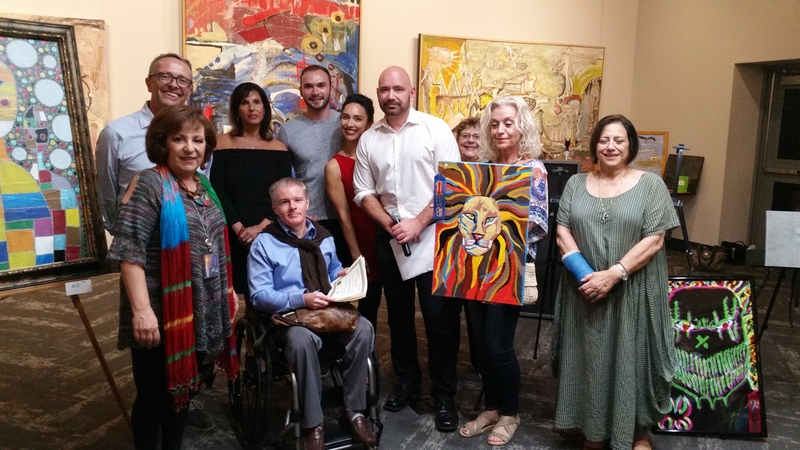 The Phoenix Sister Cities Disability Awareness Committee is deeply grateful to Transdev for their continuous support of the arts competition. In the Exhibition category, Vincent Lee from Calgary, Canada won the 1st place award. 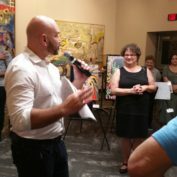 A local artist from Phoenix, Kyle Vasquez, won 2nd place. Another local artist from Phoenix, Linda Brooks, won 3rd place. Lei Xia won from Chengdu won the Best Photo Award. Phoenix awarded its local artist, Matt Nguyen, with the Best Local Artist Award. The winner of this year’s People’s Choice Award was given to Macayla Black, a local artist from Surprise, Arizona.